UCARE Ambassadors represent UCARE whenever and wherever they can. They attend UCARE events, help with raising our profile, promote our work, use their social networking site to introduce us to new supporters and generally increase awareness of UCARE and issues surrounding urological cancers. 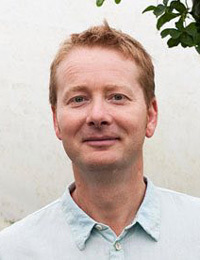 James Alexander-Sinclair is one of the foremost garden designers in the United Kingdom. He has designed gardens from Cornwall to the Western Isles and from London to Moscow. 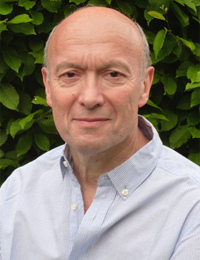 He is also an award winning writer, a compelling speaker, frequent broadcaster and an elected member of the Council of the Royal Horticultural Society. He has regular columns in Gardeners World magazine and Gardens Illustrated. He writes a blog for Fine Gardening in the USA and contributes a video diary to Crocus. 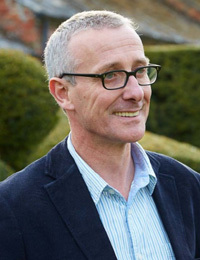 He has also written features for Gardens Illustrated, The Daily Telegraph, Financial Times, The Garden, Countryfile, House and Garden, The Garden Design Journal and many others. He has been part of the BBC coverage of the Chelsea Flower Show since 2008. Other highlights include presenting series three of Small Town Gardens, contributing to Gardeners World and most recently as a judge in the new BBC2 series, The Great Chelsea Garden Challenge. Mark Diacono runs Otter Farm, the UK's only climate change farm. As well as planting and maintaining the farm's vinyards, forest garden and vegetable patch, he also leads the Garden Team at Hugh Fearnley-Whittingstall's River Cottage. 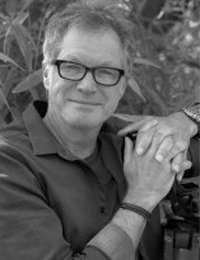 Mark is a food writer, grower and photographer, who has published seven books. In 2015, he won the André Simon Food Book of the Year 2014 for his book A Year at Otter Farm. Tim Henman is one of Britain’s most successful male tennis players of the Open era. He was Britain’s No. 1; reached four Wimbledon semi-finals and peaked at No 4 in the ATP World Rankings in a career that spanned 14 years, beginning in 1993 and lasting until his retirement from the sport in 2007. Tim won a silver medal at the 1996 Olympic Games in Atlanta and played Davis Cup for Great Britain from the age of 19. Tim won 11 ATP World Tour titles in the course of his career. Tim’s interests still include all sports and, in particular golf, where he plays off scratch. Since his retirement, Tim has been a member of the BBC Wimbledon commentary team which he joined in 2008. He is also heavily involved with ‘HSBC Road to Wimbledon’, a grassroots tennis programme which sees over 20,000 boys and girls from all over Britain and India play in tournaments throughout the summer in pursuit of playing at Wimbledon. 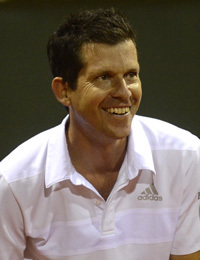 Tim is a member of the AELTC Committee of Management and founded his own charity the Tim Henman Foundation in 2000. Laurence Marks and Maurice Gran, the creators of Birds of a Feather, started writing together in the Seventies, penning several stillborn sitcoms. Then in 1978 Laurence found himself on a train opposite legendary comedy writer Barry Took. They began talking, and Barry generously offered to look at the lads’ efforts. He was sufficiently impressed to introduce them to Frankie Howerd, and within weeks they were writing the bulk of a Frankie’s radio series, whilst trying to hold down day jobs. After this baptism of fire they went full-time and migrated to television. Their first comedy series, Holding the Fort, was a top ten hit. They followed this up with the hugely popular Shine On Harvey Moon, one of TV’s first “comedy dramas”. This is where they first met Linda Robson and Pauline Quirke. Linda played Harvey’s daughter, Maggie, and Pauline played Veronica, Maggie’s best friend. It was clear from the start that Linda and Pauline had a magical rapport, and Laurence and Maurice could see that the girls had the ability to star in their own comedy series. After Harvey Moon, Laurence and Maurice worked in Hollywood on an American TV series. They returned home to join forces with Rik Mayall to create The New Statesman, an acclaimed political satire that won the BAFTA for Best Comedy, as well as International Emmy, and goodness knows what else. In 1989 Laurence and Maurice set up Alomo Productions with Allan McKeown, one of TV’s smartest producers. Alomo’s first production was Birds of a Feather, for the BBC. This of course starred Linda and Pauline, with Lesley Joseph, who Laurence and Maurice had also worked with some years earlier. Birds of a Feather was a massive hit from the start, reaching audiences of nearly 20 million viewers. The show ran for ten years, amassing over 100 episodes. During the Alomo decade, Laurence and Maurice still found time to write/produce a host of other hit series, including Goodnight Sweetheart, Unfinished Business, Get Back, and Love Hurts, as well as Mosley, a controversial mini-series about Sir Oswald Mosley, Britain’s would-be Fuhrer. They also wrote Wall of Silence, a TV murder movie set in the orthodox Jewish community. In 1993 they were awarded the British Academy Writers’ Award, British television’s highest honour. They surpassed this in 1997 when they featured in their very own South Bank Show, and were invited to give the prestigious McTaggart Lecture at the Edinburgh Television Festival. Always lovers of the theatre, a chance meeting with Sir Alan Ayckbourn led them to write their first stage play, Playing God, which premiered at the Stephen Joseph Theatre Scarborough in 2005. The following year they adapted The New Statesman for the stage – the first time they had rewritten a television hit for the theatre, but not the last. The New Statesman toured to great acclaim, and had a riotous Christmas residency in the West End. In 2008 they fulfilled another ambition when they wrote the book for hit West End musical Dreamboats and Petticoats, for which they received an Olivier Award nomination. Four years later it continues to run in the Playhouse Theatre, London, and a second production is now touring nationally. In 2010, their stage play, Von Ribbentrop’s Watch, received its critically acclaimed world premiere at the Oxford Playhouse. 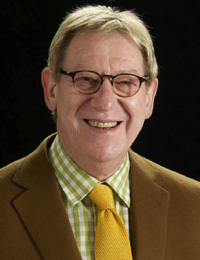 In 2011 the producers of Dreamboats and Petticoats invited Laurence and Maurice to write the book of a new musical, Save The Last Dance For Me, which is currently rocking the nation. This live theatrical production of Birds of a Feather has been written with Gary Lawson and John Phelps, writers of many Birds TV episodes. It is Laurence and Maurice’s latest theatrical offering. They’ve had a wonderful time revisiting Chigwell and working with the Birds again, and when the show became a national sell-out it seemed that it was time to bring it back to television. This they did and in January 2014 Birds of a Feather became ITV’s biggest viewed comedy show in 24 years, reaching an almost unbelievable audience of 12 million. Since there have been a further two series of Birds of a Feather, each finding an audience that ITV could have only dreamed of. In 2105 Laurence and Maurice became castaways on Desert Island Discs. They were jointly castaway on adjacent desert islands, with four gramophone records each. We had always felt that this Robinson Crusoe-like fate remains one of the highest accolades the British establishment can bestow, far more satisfying than a mere knighthood. Though if Jeremy gets to Number 10, who knows. And in the late autumn we were awarded the accolade of Living Legends. During an astonishing afternoon, it was as if we were on four consecutive episodes of This Is Your Life. We were interviewed at length on stage by Louis Barfe, a frighteningly well informed cultural historian, and several clips of our work were shown, one of them, an untransmitted pilot entitled Still William, never seen before and unlikely to be seen again. Literally dozens of stars – and when we say “literally” we mean literally – gave up their Sunday afternoon to join us on stage and reminisce about the shows we made with them. Many were kind enough to say we played a crucial part in their careers. Of course, they all played a crucial part in ours. Kenneth Cranham, Matthew Kelly, Michael Troughton and Nigel Planer were among those happy to praise us to our faces. Many others, including Patricia Hodge, Michael Maloney, Liz Carling and David Cardy were happy to just be in the audience…apparently. After the love bombing, Joan Bakewell conducted a question and answer session, with her usual warmth and aplomb. Since Joan helped to invent cultural broadcasting it was no surprise how well she was received by an audience delighted have so many luminaries sitting among them. The event climaxed when two-thirds of the stars of Birds of a Feather, Linda Robson and Lesley Joseph, came on stage to present us with our Living Legends awards, which entitle us to free entrance to all cinemas, theatres and sporting venues throughout the world, and blue plaques at a home or workplace we may have lived in. Jonathan has been working professionally with flowers for over 20 years. His love of flowers started when his parents presented him with a greenhouse on his eleventh birthday - and their investment paid off; by the time he was 12, Jonathan had won his first competition. Since Jonathan's first floral victory, he's worked hard to build an enviable reputation within the floral industry. Known for being innovative and creative with his designs, Jonathan enjoys nothing more than nurturing new talent and regularly holds workshops and demonstrations through his current position ‘in residence’ at Chatsworth House. In 2014, Jonathan represented the UK at the 11th World Flower Show where he delivered an outstanding floral demonstration, receiving a standing ovation from the audience. He is the former chairman of NAFAS Demonstrators Committee and has demonstrated and worked with the Royal Horticultural Society (RHS) at their major shows including Chelsea and Hampton Court. Jeremy was at the Bar for 35 years before becoming a partner in Farrer & Co, solicitors. He has also been a Deputy High Court Judge for many years, deciding cases in the Family Division. His practice is now highly specialist in divorce and family law, in which he has appeared in many of the leading cases of recent years. As a junior barrister he had a much more varied professional diet. Jeremy is now semi-retired and is a Consultant with Farrer & Co. When not at work, he enjoys travel, theatre, vegetable-growing(!) and family life (he has two daughters and four grandchildren). 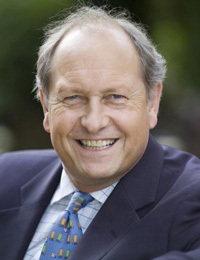 Many of you will know Charlie as he now regularly appears on BBC programmes such as The Antiques Road Trip, Put Your Money Where Your Mouth Is, Bargain Hunt and Celebrity Antiques Road Trip ~ and that he regularly plays and runs the auctions at our annual charity golf day. Charlie Ross ran his own auction house in Woburn for over 25 years and has conducted a wide variety of auctions ranging from antiques, commercial and residential properties, through to vintage cars and Intellectual Property. He is also resident auctioneer for MacDougall's - London's leading Russian Art specialists - whose December 2010 sale totalled £21 million. Pete has been a photographer for over 30 years. Working mainly on advertising campaigns, he's traveled the world extensively for major international clients. His experience from client pre-production meetings through to final post-production has resulted in many successful campaigns winning numerous industry awards including being voted one of Luerzer's Achives 200 best Ad photographers in the world and won 'travel photographer of the year 2011' by the British Travel Press. 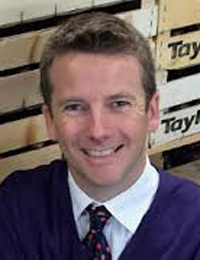 Adam is Director of Sales and Marketing for Taylors Bulbs, a fourth generation family business, growing and supplying flower bulbs and associated products since 1919, in Holbeach, Lincolnshire. Taylors Bulbs are the largest bulb company in the country supplying garden centres, nurseries and landscapers throughout the UK and Ireland. Consultant Clinical Oncologist, Oxford Cancer Centre and Oxford University Hospitals NHS Trust. 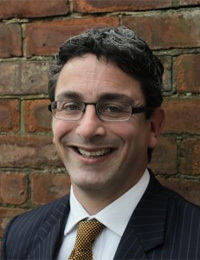 Dr Philip Camilleri was appointed as Consultant Clinical Oncologist in 2006 having trained in clinical oncology in Oxford. He currently specialises in urological cancers - specifically prostate, bladder and testicular cancers - and provides chemotherapy, hormonal as well as radiotherapy treatment. Dr Camilleri delivers prostate brachytherapy at the Oxford Cancer Centre. He also provides intensity modulated radiotherapy (IMRT) with image guidance (IGRT) for prostate cancers. He is involved in research for most urological cancers. 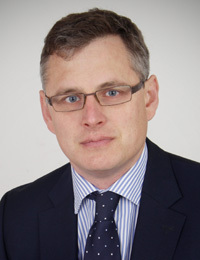 Dr Tuthill is a consultant oncologist at the Churchill Hospital which is part of Oxford University Hospitals NHS Foundation Trust. He treats cancers of the prostate, kidney, bladder, germ cell tumours (testicular and ovarian) and breast cancer. He is also an expert on the emergency management of cancer (acute oncology). 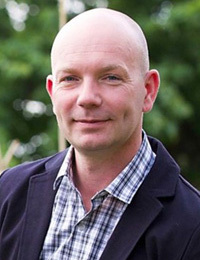 Dr Tuthill qualified from University College London (University of London) in 2002. He was awarded BSc Honours (Immunology and Cell Pathology, University College London) in 2001. He became a member of the Royal College of Physicians (UK) in 2005. He trained in Medical Oncology in London at the Hammersmith Hospital, Charing Cross Hospital, Chelsea and Westminster Hospital and the Royal Marsden Hospital. He graduated with a post graduate diploma in Oncology from the Institute of Cancer Research in 2009. He was awarded a MRC Clinical Research Fellowship (2009) and studied for PhD (2014) at the MRC Clinical Sciences Center and Imperial College (London). He was appointed Consultant Medical Oncologist at Oxford University Hospitals NHS Foundation Trust in 2015. His active research interests include tumour immunology, cellular growth inhibitors, and novel therapeutic drug combinations for the treatment of cancer. Dr Tuthill is a current principal investigator or sub-investigator for early and late phase clinical trials in prostate, kidney, testicular, bladder, and breast cancers. His research has been presented at international meetings and published in international medical journals. Dr Tuthill is a member of the Association of Cancer Physicians, the Royal College of Physicians and the Medical Protection Society. He is actively involved in clinical governance and has conducted clinical audits which have led to practice changes at a local, national and international level. UCARE are honoured to have our ambassadors' support.